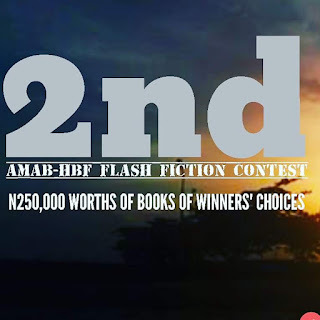 Writing Competition: 2nd AMAB/HBF Flash Fiction Contest is On. 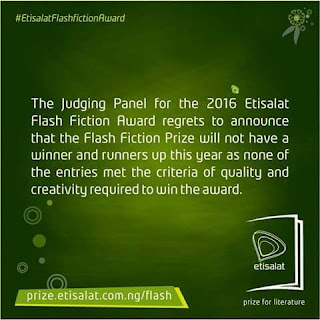 AMAB Books in collaboration with Home of Books Foundation announces the 2ND Flash Fiction Writing Contest. The Hill-Top Creative Arts Foundation, Minna, inaugurates her maiden Writers' Chat, THE BOOK MAKER on 14th January, 2017 at the Hill-Top Arts Centre, Hill-Top Model School, Minna by 2.30pm. 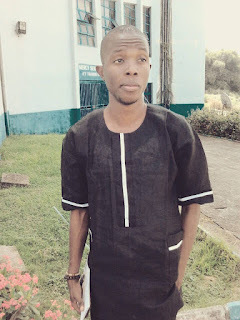 The guest writer in this maiden edition is Su'eddie Vershima Agema, former Chairman, ANA Benue. This marks the commencement of the Foundation's major activities for the year 2017. The Foundation shall also at The Book Maker event inaugurate a book donation programme tagged: NAIJA BOOK HUNT AND HARVEST where it intend to gather 5, 000 books to be redistributed to ten schools and students. 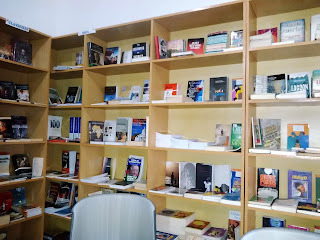 Donations are solicited from book lovers all over the world.